DoorsWorld has over 10 years experience with doors, they have built themselves out as specialists in order to offer a specific requirements of doors to their customers. The company is sister to the parent company, WorldStore, who are huge player in the the Home and Garden category. 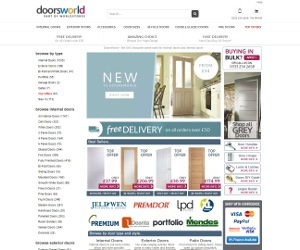 DoorsWorlds has over 500,000 items listed across its various brands.